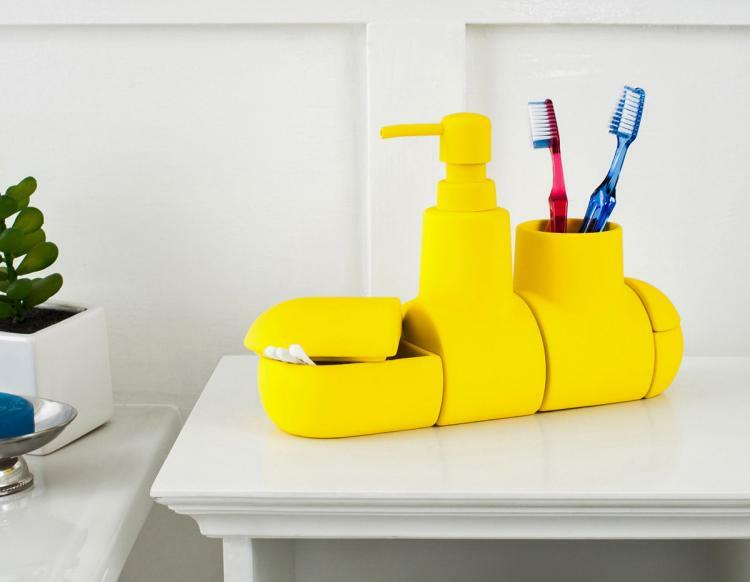 The Submarino is a bathroom set that looks just like a submarine and has a compartment to hold toothbrushes, a nozzle that dispenses soap or gel, along with two storage compartments where you can store cotton balls, q-tips, hair bands, etc... A perfect addition to any Beatles fanatic (assuming you choose the yellow colored submarine), the submarine bathroom set has a modern yet playful and function design that would make a perfect gift for any child or adult. 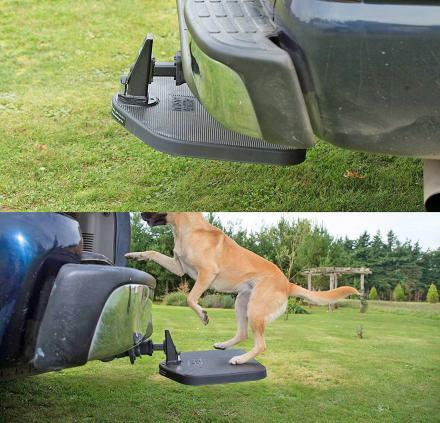 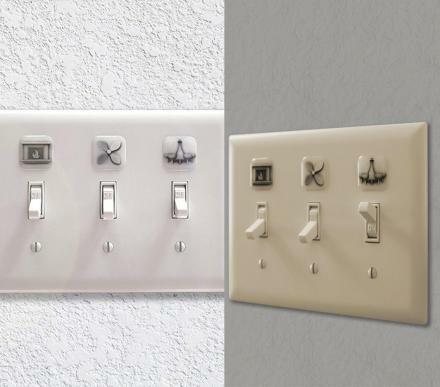 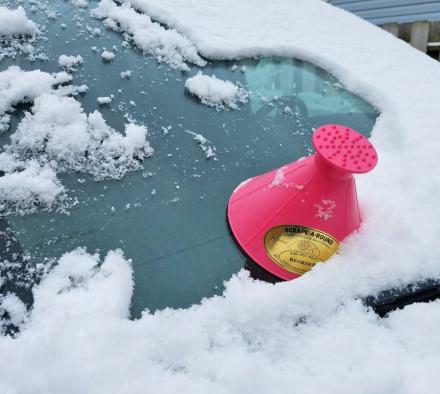 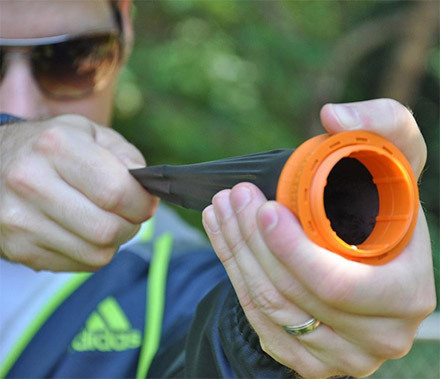 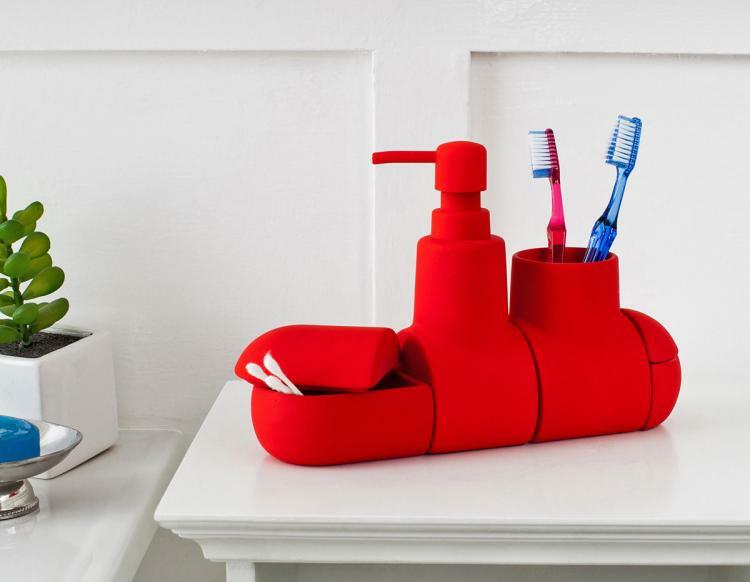 The submarine comes in 4 separate parts and are able to separated fro cleaning, or to use separately across your bathroom counter, as the compartments are snapped together using magnets. 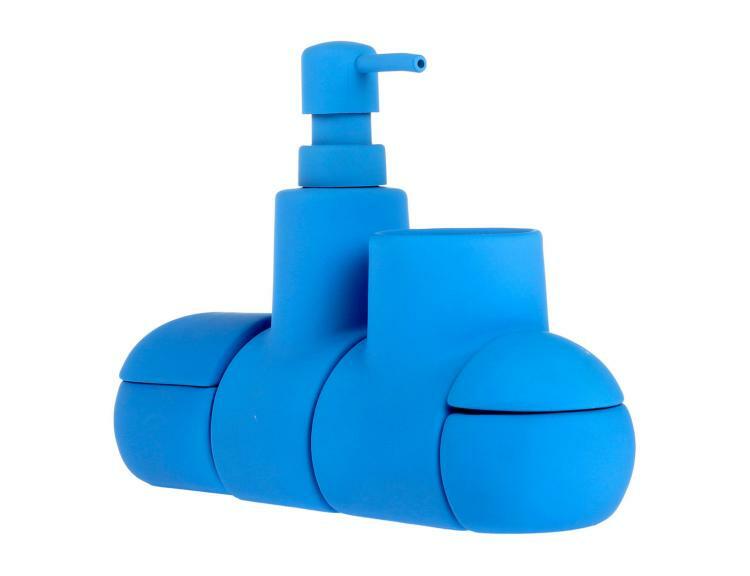 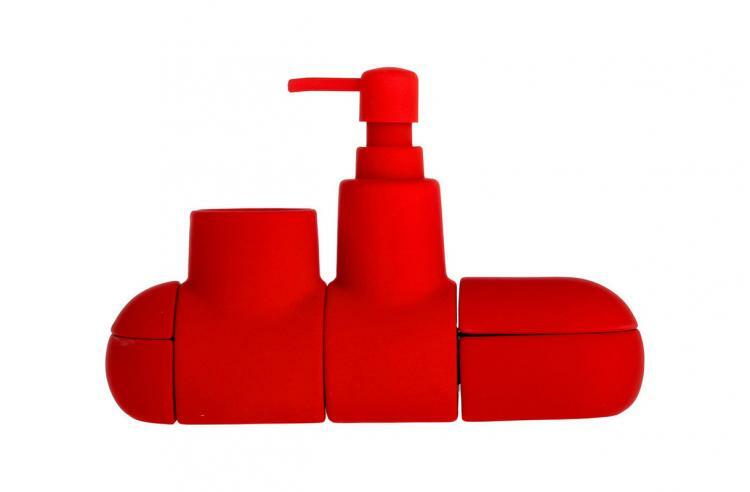 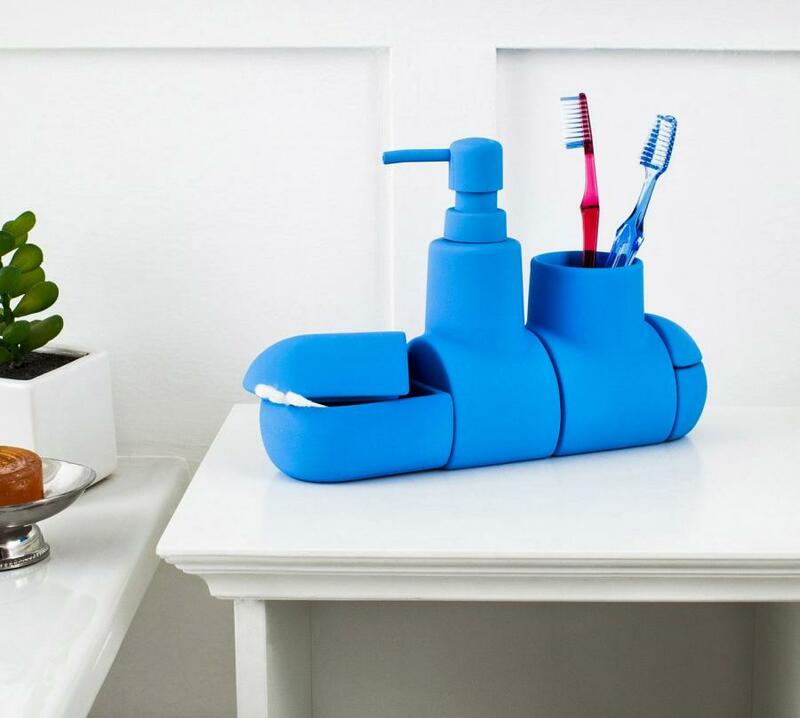 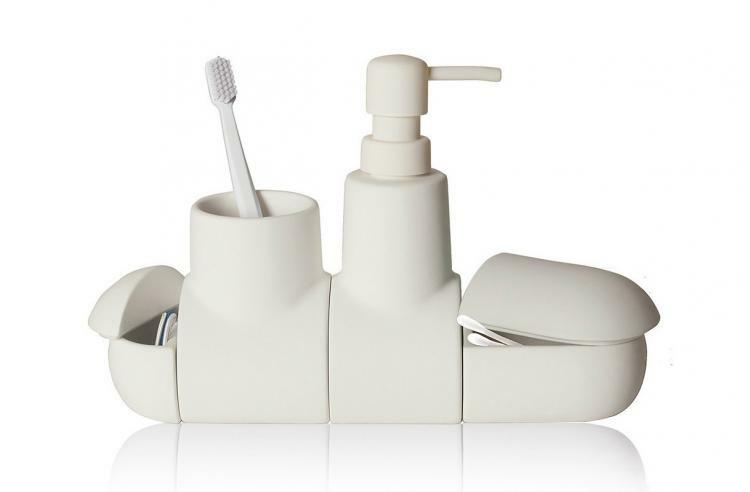 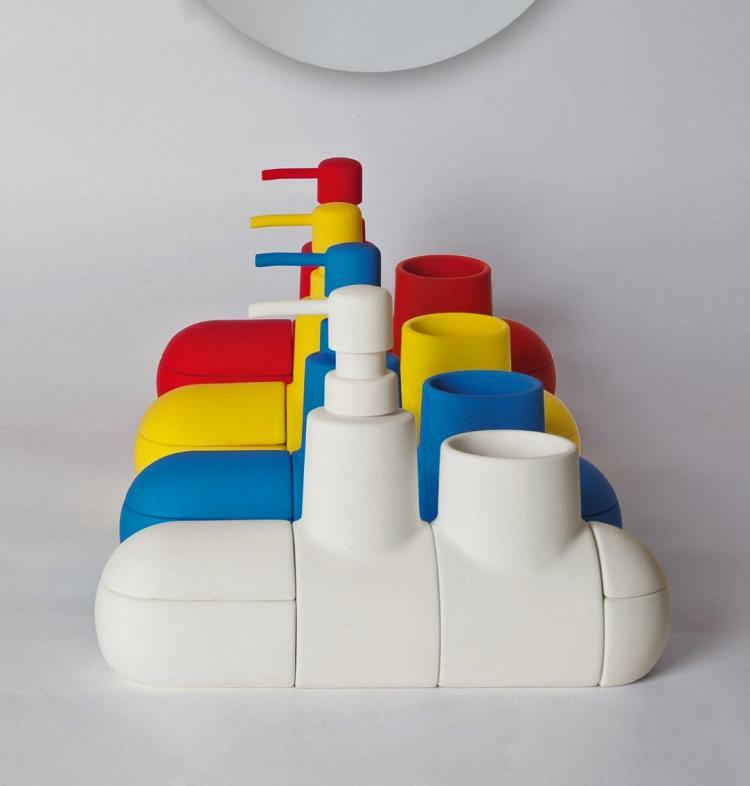 Perfect for organizing smaller counter-tops or people who have to share their space with other people, the submarine toothbrush holder and bathroom organizer set is made from porcelain, comes in a few different colors to choose from, and when fully together the submarine measures 10 inches long x 6.9 inches tall x 2.8 inches wide.